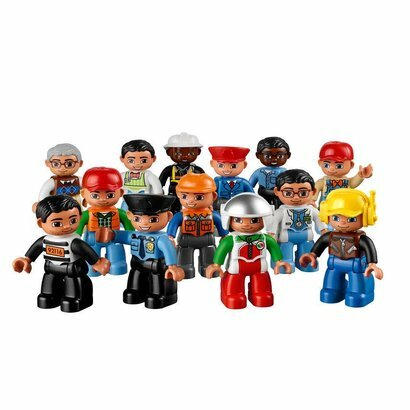 With 20 unique LEGO® DUPLO® figures, children will explore important topics, such as gender, age, relationships and the unique roles and responsibilities of people in the community. The set invites children to role play, giving each character a distinct voice. In addition, the set has a wheelchair that will help them explore the needs of others.